Q: When I create annotations on the document, it took me few clicks to select the right annotation on the toolbar. Is there a solution for this? A: In PDF Studio, you can use shortcuts for all annotations tools. – Under Group Buttons section, un-check a group that you want to see individual tools. 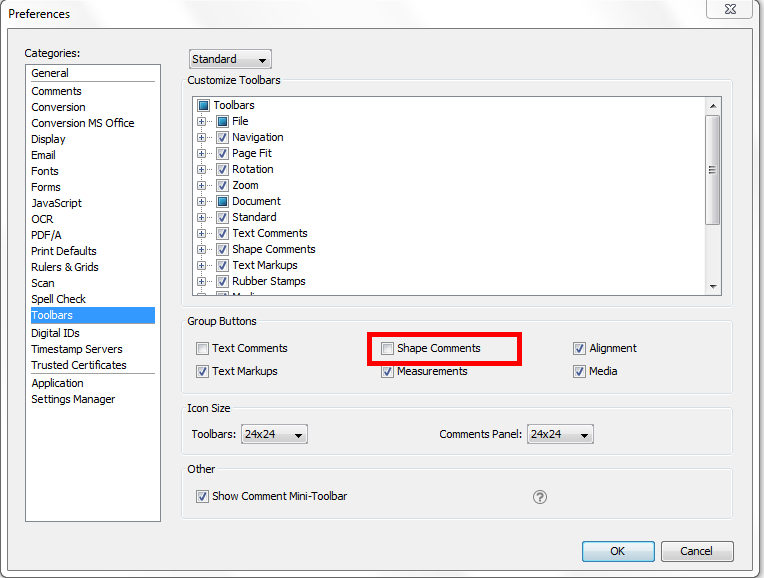 For example, I un-checked “Shape comments” button because I want to see all icons in this group on my toolbar.